It could never be said that the existing house was a “bad” house. It fact it was pretty “nice” by most standards. The program for the addition and renovation, however, was to make it a “great” house. The Homeowners felt that the neighborhood, the location, and the wildlife in the ravine to the rear warranted staying where they were. Their desire was to elevate the house to their expectations, which are the rewards for many years of hard work and very successful careers. 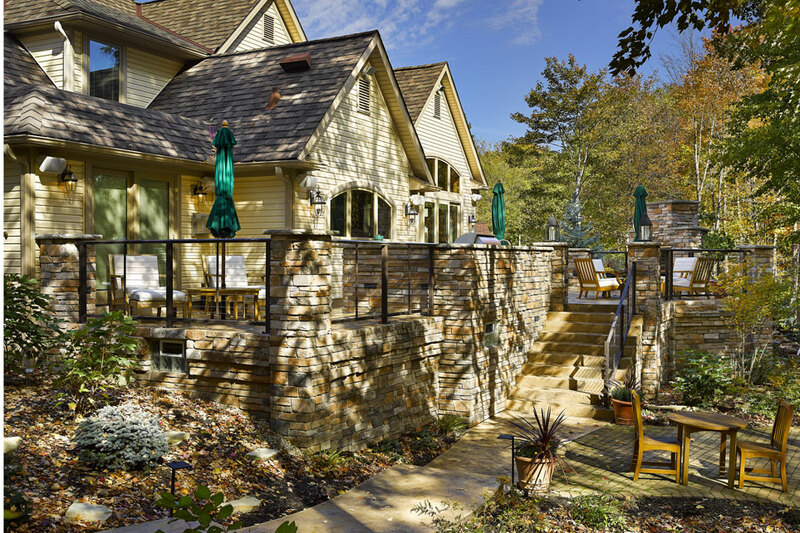 The project evolved into a unique opportunity to create an outstanding home gracefully blended into the fabric of the existing neighborhood. First, the program included a gourmet Kitchen for very accomplished cooks. Second, to double the size of the Family Room with appropriate volume in the space, to accommodate frequent gatherings of family and friends. The Master Bedroom gained a Sitting Room with a fireplace and leading to a Stone Terrace to the rear facing the ravine. Lastly, a significant exterior living space has added an outdoor Kitchen to take advantage of the unique property. Other modifications such as the Media Center, the Wine Tasting Area, the Wood-Beamed Volume Ceiling and the Multi-Functional Island were made to improve the functionality and livability of the house.